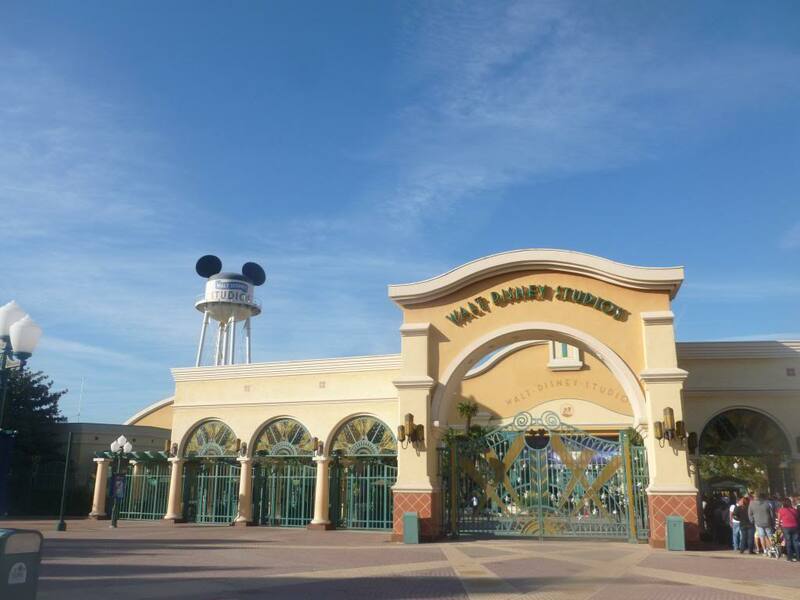 All the park guides tell you that Walt Disney studios opens at 10am. However, when we went, although it was advertised for opening then, it actually opened at 9.30. If you want to ride Crushes Coaster, I highly recommend that you get there early as the queue times for this roller coaster are usually at least an hour. The ride is based on Finding Nemo and I really enjoyed the idea of riding the east Australian current. Big man liked that there was a 3D Nemo and Crush. Walt Disney studios is also the home of the Toy Story Playland. The queues for the green army men parachute drop can get long so again this is best done early. You have to be 81cm to go one this and little man just met the height restrictions and at 21 months absolutely loved it! 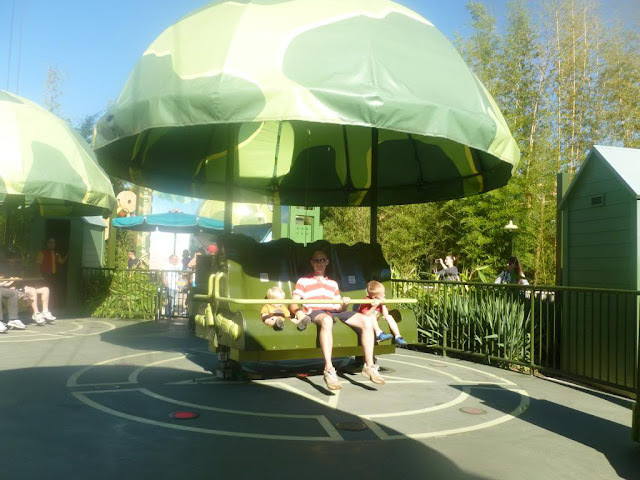 Slinky dog is a tame ride, but as it was pretty much walk on when we were there, we did it a number of times as the boys enjoyed it. Another favourite of the boys was the cars themed ride. Walt Disney Studios is also great for shows. This time round, Playhouse Disney wasn't showing, but I can highly recommend this puppet show to anyone that loves Mickey Mouse Clubhouse. Animagic features some of the classic Disney tunes and Stitch Live is well worth seeing even if you haven't seen the Lilo and Stitch movie. On our current visit we watched the Moteur action stunt show. I was slightly disappointed as there was only a video of lightening McQueen (maybe as it was low season) but the show was really good and would certainly be of interest to older children. It really did put my driving skills to shame! The studio tram tour is good but again is a bit frightening for smaller children. Rollercoaster wise the Areosmith Rock n roll coaster is lots of fun (black hole type ride) and queue times are less than those for Crushes coaster. The height restrictions mean that it is only suitable for older children as it goes upside down. When it comes to characters you are likely to come across Woody, Jessie, the Incredibles, Aladdin and Ratatuille, which aren't usually in the main park, except for parades. There is also place by the cars ride where you can queue to see Minnie and Mickey and Buzz Lightyear. They also have a parade every day. It is shorter than the one in the main park, but it is also quieter and you only need to be there 5 minutes before to get a good spot. If you are like me, you will also love the studios for all the photo opportunities! We spent two full days and two half days in Disneyland Paris and split the time equally between the parks. If you have any questions if you are planning a trip, please feel free to ask. And look at the wonderful weather you had - you could have been in Florida! 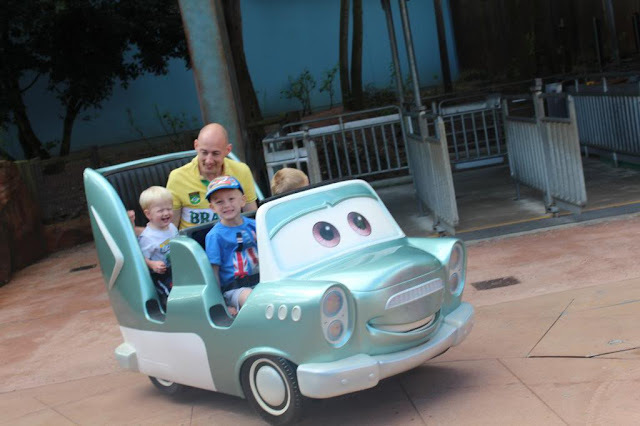 Glad you had such a great time - your little man looks like he was loving that Cars ride! Looks so much fun! We've not been to Paris, though went to Orland years ago before we had the kids. We'll definitely want to take them to either Paris or Orlando at some point, though - absolutely magical. Glad you had a great time, and some sunshine, too! This looks great - I didn't realise there were two parks in Paris. 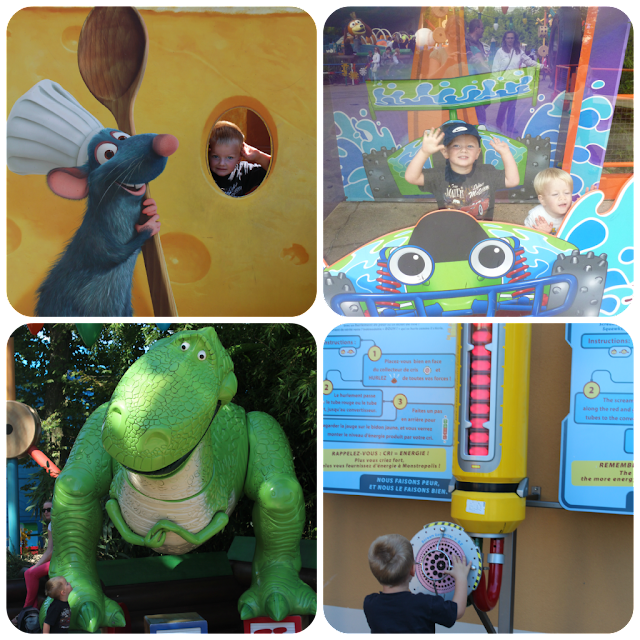 We went to Orlando in August and had a fab time at the Disney parks there. We went to the studio part of the park too and it was ace. Really liked the cars ride, and the slightly scary tram tour. Love the buzz Lightyear pics! Crushes coaster was fab - was so pleased big man was bog enough! Fantastic! I used to think the Studio was a bit rubbish (we've been to Disneyland Paris rather a lot of times! ), but it was loads better last time we went there - with the Toy Story area etc. We've still never been on Crush's Coaster. I can't bear queuing for that long! OMG Louise you keep making me jealous! 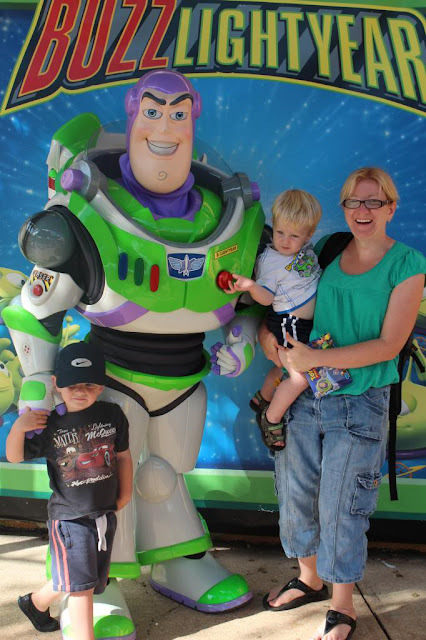 What a fab trip, I love the look on the children's faces with Buzz and having a great time on the rides. You also had brilliant weather, thanks for linking up and sharing with Country Kids. Some great photos - you obviously picked the right week to go with that weather! There looks like so many more rides and attractions since the last time I went a few years ago. I bet you had an amazing time! Thanks for the post. Seems like you are enjoying the trip to Paris. If you are exploring Paris then, I recommend you to explore disneyland paris new years eve coach trip if you are visiting Paris with your kids.